Copyright © 2013 Mosaic Industries, Inc.
With the help of WebSocket technology, control your I/O-rich instrument in real time, locally or remotely, from a tablet or a smart phone. Using a web browser and a few mouse clicks you will be able check the status, pinpoint problems, diagnose faults, and download updates or software fixes directly to the instrument anywhere in the world without ever leaving your desk. 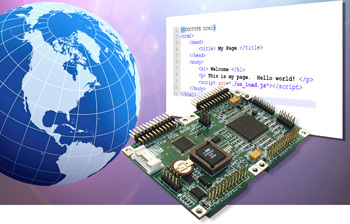 The EtherSmart Wildcard provides wired Ethernet connectivity, and the WiFi Wildcard provides wireless 802.11b/g connectivity. With either of these cards, connect to your programmable controller from a web browser to monitor its status, diagnose problems or update its software. Mosaic’s new Web Front Panel makes it all possible. 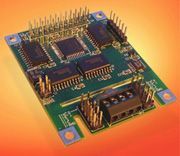 Mosaic's new PWM Driver Wildcard makes it a snap to interface high current peripherals to your instrumentation or automation project and offers high precision current sensing with a programmable gain. 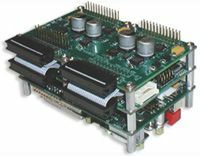 Expand the I/O options of your programmable controllers by mixing and matching up to eight specialized I/O modules, called WildCards, including 10/100bit Ethernet, USB, GPS, solid state AC and DC relays, 24-bit 7 channel data acquisition, signal conditioning, 20 channel digital I/O, 56KB UART with two additional full-duplex serial ports, compact flash, I/O filter and much more. All wildcards include precoded device drivers giving you full high level access to their functions. The Conductivity Sensing Wildcard can be used to measure either solution conductivity or total ion concentration of aqueous samples for analytical investigation or process measurement. Hosted by any Mosaic SBC, the Conductivity Sensing Wildcard provides an easy way to add environmental monitoring to your instrument. 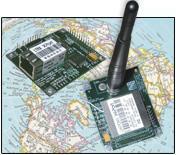 The QCard, a tiny low-cost single board computer fits any hand-held or space- constrained applications. Use it alone or with the PowerDock™, the QCard's convenient mechanical and electronic platform. Copyright © 2016 Mosaic Industries, Inc.